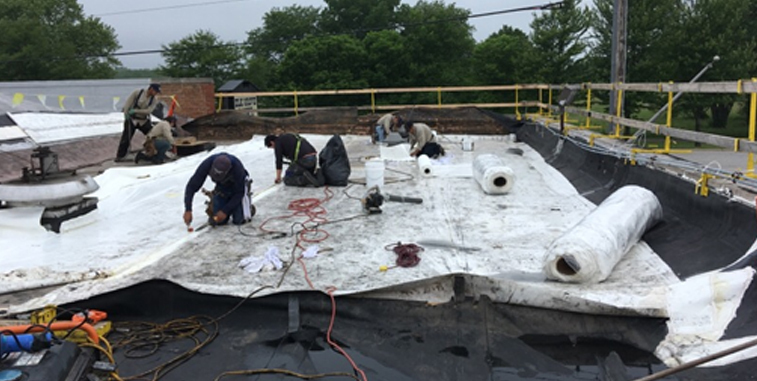 Since 1981, Raincoat Roofing has maintained, repaired and replaced commercial, industrial and residential roofs for thousands of satisfied customers. From day one, we have followed a strict set of core values that have ensured our success; honesty, loyalty, dependability, quality, dedication, skill and fairness in everything we do. The business began at our 1750 Parkes Dr location with one plan in mind, to always do the right thing. Since then, owners Jeff Suess and Scott Savage, have taken the business to new heights. From developing and maintaining relationships of all shapes and sizes, to working on some of the most historic buildings and landmarks all over the Chicago area. 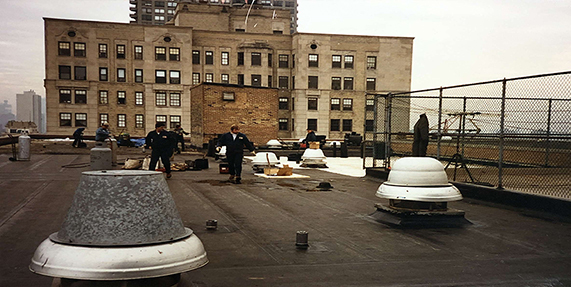 Raincoat Roofing started to prove themselves as one of the heavy hitters in the Chicago market during the late 1980’s and into the 1990’s. Working on the Chicago Theatre, several buildings in the heart of the Loop, and a laundry list of addresses in and around the North Shore. 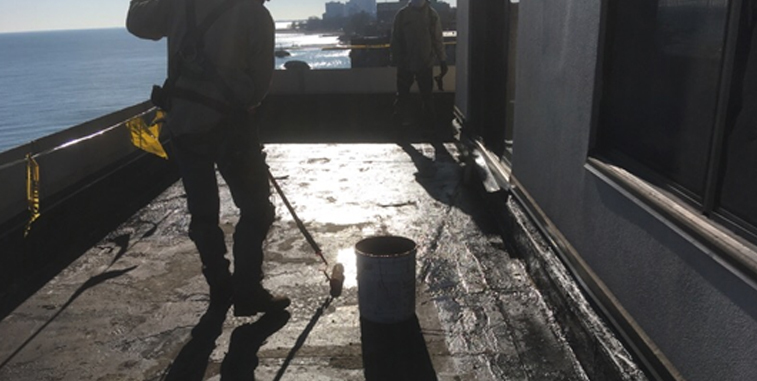 Raincoat Roofing has since been a part of the roofing landscape of Chicago for years. When flying into Chicago’s O’Hare International Airport, you can bet your bottom dollar that you’re flying over a Raincoat roof. 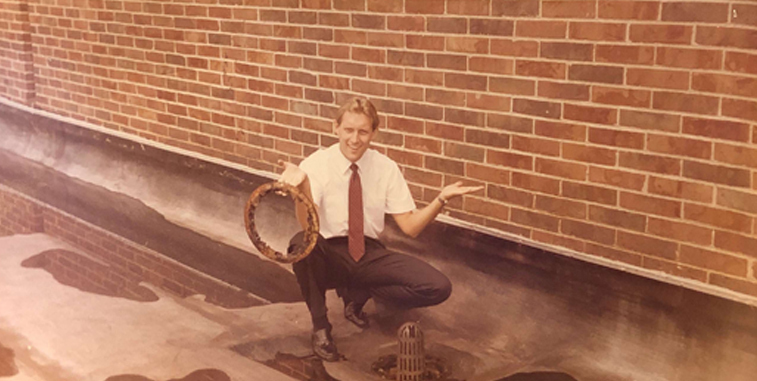 Raincoat Roofing has stood strong over the years, since their humble beginnings in the early 1980’s. Opening its doors to their second division, Raincoat has proudly been owned and operated under the family business principles. Raincoat Roofing Maintenance takes care of leaks, repairs, emergencies, and maintenance plans; while Raincoat Roofing Systems oversees larger projects such as tear offs, replacements, re-roof and new construction. Stepping into the new wave of technology and facing the challenges of the future, Raincoat has presented themselves as a roofing company of the ages. Utilizing the tools of the future, such as drone technology and infrared imaging, we have taken steps towards our future being bright. Although the materials and means of application are constant, Raincoat Roofing maintains their ability to always do the right thing. Our future and ability to grow are only as strong as our current work force, with new faces emerging into leadership positions and older generations taking roles as teachers and supervisors. Raincoat Roofing is on the verge of creating its next chapter in the Midwest roofing business. The sky is the limit as to what our team can do.